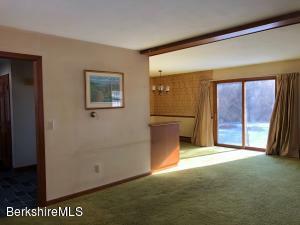 465 Devon Rd Lee, MA 01238 / iBerkshires.com - The Berkshires online guide to events, news and Berkshire County community information. New to the Market on Scenic Devon Road- Executive Center Hall Colonial w/4 bdms.& 3 baths, Mudroom/half bath/laundry, large eat-in kitchen, large dining room/living room w/ fireplace, den/library, large front foyer. 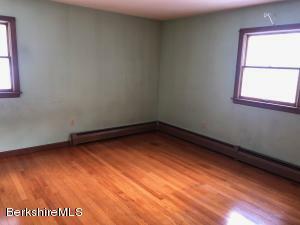 Second floor offers 4 large bdms., which includes a large master bedroom w/bath, additional large full bath. Beautiful hardwood floors throughout and solid six panel doors. 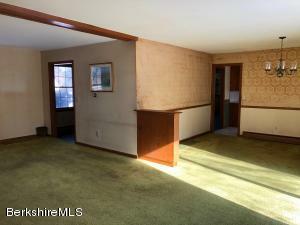 Large unfinished basement w/bonus fireplace. Back porch overlooking private backyard. 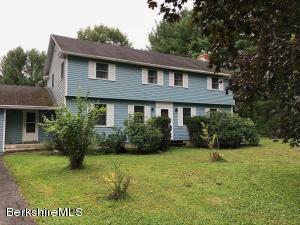 This is a solid home with great curb appeal in need of cosmetic updating! Great home, Great Location!! !